By definition — Biopower is the use of biomass to generate electricity, or heat and steam required for the operation of a refinery. Biopower system technologies include direct-firing, cofiring, gasification, pyrolysis, and anaerobic digestion. Most power plants use direct-fired systems. They burn biomass feedstock directly to produce steam. This steam drives a turbine, which turns a generator that converts the power into electricity. In some biomass industries, the spent steam from the power plant is also used for manufacturing processes or to heat buildings. Such combined heat and power systems greatly increase overall energy efficiency. Paper mills, the largest current producers of biomass power, generate electricity or process heat as part of the process for recovering pulping chemicals. In liquid biomass storage, Tank Connection provides the best anaerobic digester design available in the industry today, worldwide. 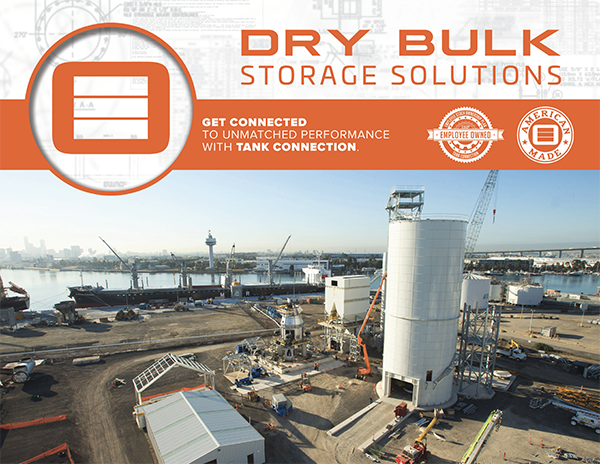 Tank Connection is also an industry leader of dry biomass storage applications. In dry biomass storage the leading unloader is offered by Laidig, which is a flat bottom reclaimer utilized in steel storage silos, concrete domes and silos. 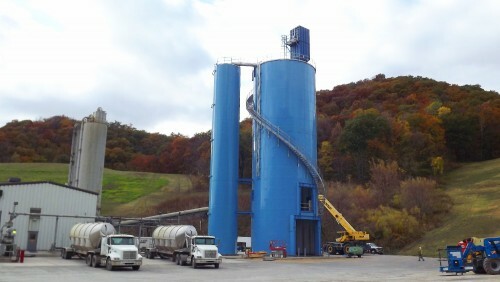 Laidig Storage Systems, Inc. is a Tank Connection affiliate company. Tank Connection is not only the leading supplier of storage tanks used in the power industry in North America, but we also lead the field in biomass storage applications. We know the specific requirements for each application and our storage system technology continues to lead the industry, as we deliver results on every project. Tank Connection specializes in all types of “material flow” discharge systems including functional mass flow, funnel flow, expanded flow, active/vibratory discharge and numerous configurations of fluidized hopper designs. We provide total turnkey responsibility supplied by one company. In biomass applications, we provide the highest quality storage systems available worldwide. Our customer base includes the industry leaders in biomass technology and ALL the leading power utility companies in North America.